Twinkle Ventures – Let's venture into the world of technology. Let's venture into the world of technology. We design and develop elegant websites which are mobile first and responsive in nature. We are experts in multiple web development technologies. Let it be a native iOS or Android or Windows app, or a cross platform app which works on multiple platform, We will make your dream come true. We can setup your blog or website on WordPress and help maintain it, so as you can concentrate on your business or creating posts. We do website analysis and perform white hat search engine optimization. We design and develop elegant websites which are mobile first and responsive in nature. Planing to have your own blog? We can setup WordPress blog for you and help maintaining it. We do Dot Net Nuke module development and customization for your DNN website. Looking for mobile app development? We are here for you. Our web support and maintenance plan is among the best in the industry. Thinking about having your own personal website? We use multiple technologies, programming languages and development tools for programming and designing. These are few of them. 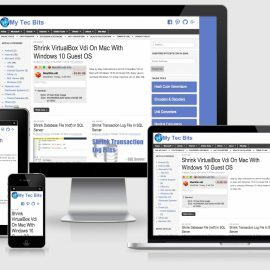 Web design and development team at Twinkle Ventures are experts in web development. 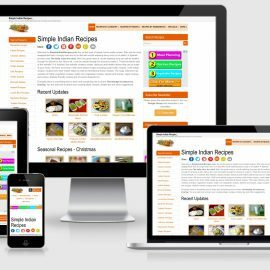 They have designed a wonderful website (SimpleIndianRecipes.com) for me and providing an excellent support. Wondering how to enhance the look and feel of your old website and improve its speed? 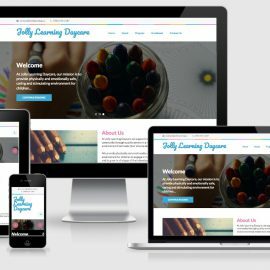 We can enhance your old website to a new top of the class responsive design and improve its performance so as to load faster in any device. See few of our recent works. We work closely with you to determine the purpose of the website and with it define the scope of the project. Based on the scope, we will set the timeline and expectations. Our choice of design and technology is based on the purpose and scope of the website. Thus we assure, the website will represent exactly your business and your brand personality. Contact Us & Get Started! At "Twinkle Ventures", we provide solutions for every one, whether you are a corporate or startup or entrepreneur or a hobbyist blogger. We provide cutting edge web and mobile solutions at affordable costs and take care of the technical heavy lifting so that our customers can concentrate on their business or passion. Copyright © 2019 Twinkle Ventures. All Rights Reserved.